Perfect for Trips to the Flea Market! 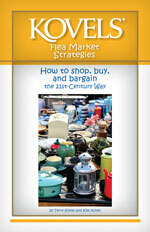 Add a copy of our Flea Market Strategies guide to your order and you're ready to shop! This versatile Newsboy-Style Tote Bag is a great everyday casual bag. 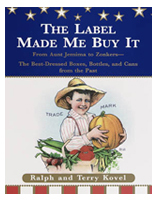 Excellent for flea market shopping and more! It's an oversized, roomy carryall, made of durable, heavy-duty cotton canvas. A bag this size can hold all your flea market purchases. A traditional padded shoulder strap adds extra comfort and support. 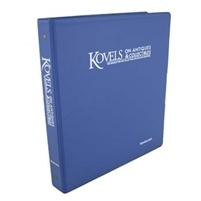 We've included a specially-designed pocket, sized specifically to hold your copy of the latest Kovels' Price List. 18 x 12 x 10 in.